We are taking our attention to the legendary Anfield Stadium, where on Tuesday night Liverpool will meet Porto in a first 1/4-finals leg from the Champions. 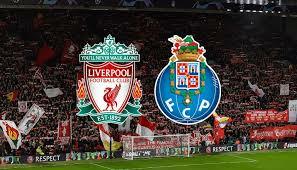 Many consider Liverpool the huge favourite here, but they must be careful because Porto could be a dangerous team. During the 1/8-finals Liverpool had a big challenge against them, facing one of the strongest teams in Europe – Bayern Munich. After a 0-0 draw at the Anfield, many people considered Bayern a favourites in the tie. But at the Allianz Arena Liverpool played a brilliant game and eliminated the Bavarians after a 3-1 win. Sadio Mane scored two goals for the Reds, while Virgil van Dijk also scored one for Jurgen Klopp’s team. Liverpool are on the road to winning the trophy for a first time since 2005. Last season the Reds reached the final of the competition, but they suffered a defeat from the hands of Real Madrid. Now it’s the time for them to try again. Porto on the other hand needed an extra time to reach the 1/8-finals this season. The Dragons faced Roma and after a loss in the first leg at the Olimpico, they won the rematch at the Do Dragao with 2-1. This put the game into an extra time mode, where Porto scored a goal just 3 minutes before the penalties. It’s a curious fact that last year Liverpool and Porto faced each other during the Champions League knockout phase, too. Then the game at the Anfield ended with a 0-0 draw, but before this Liverpool have won at the Do Dragao with 5-0. Can Porto now avenge this heavy loss? There’s no doubt that Liverpool are the favourites here, but this is Champions League and everything can happen. Porto have their chances and they will try to use them, no doubt about that.